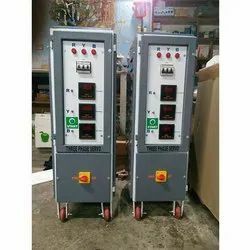 Our range of products include servo voltage stabilizer and three phase auto transformers for cnc machines. Leveraging on the support of our highly qualified workforce, we have been able to manufacture and supply premium grade Servo Voltage Stabilizer. 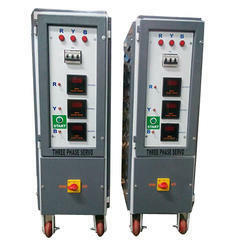 These Servo Voltage Stabilizers are extensively used in situation of fluctuating voltages in power supply. Further, the offered products are available in market in different sizes and specifications. Our products are highly durable in nature. Ambient Temp. 50 to 55 Cel. We are offering a wide range of Single Phase Autotransformer. Our team of experienced and talented personnel uses high-grade material and technologically advanced machinery to manufacture our range. Clients can avail these transformers in different technical specifications and most competitive prices.